For now, she’d rather just eat cheese. Stella’s top front teeth are coming down. I’m curious to see what effect they have on her ability to make different language sounds and how her babble will change. She is still playing with the iPad very regularly. We’ve tried a few different apps, but she still seems to like flash cards for about 4 minutes per day. 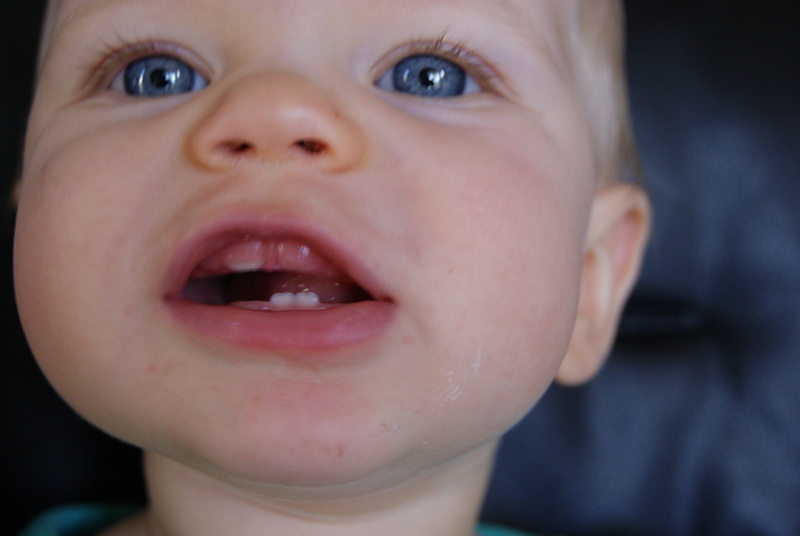 Posted on May 27, 2011, in 12 months, photo and tagged baby, language, photo, smile, sounds, teeth. Bookmark the permalink. Leave a comment.